To connect parallel resistor 4.7k between +5V and 1W pin of 3pin plug-in (variant 1 of the scheme). To make RC filter like it's shown at variant 2 of the scheme. You can try with 470pf and 62 or 100 Ohms resistor. You can try variant 1 first, if there's no success - variant 2. 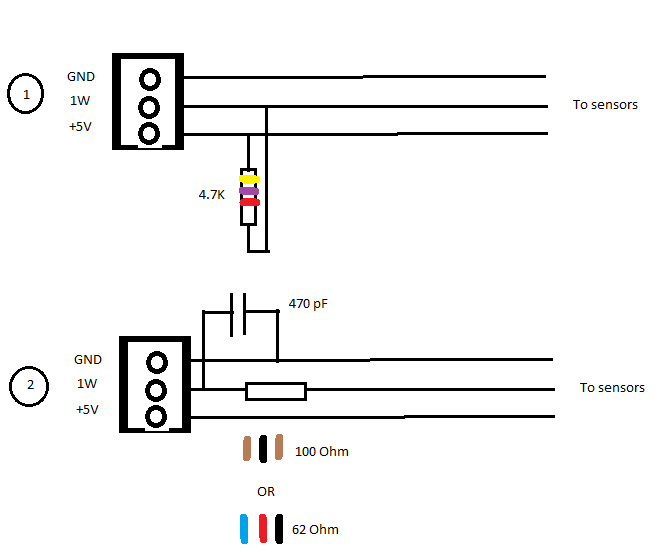 You can combine variant 1 and 2 but connect parallel resistor before RC filter.